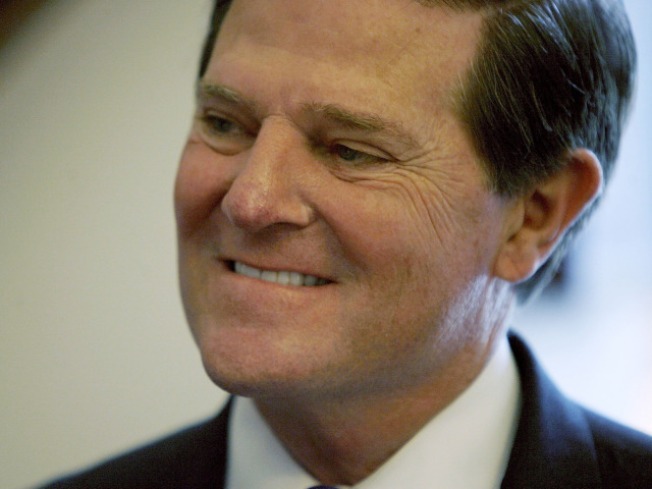 Former Republican Congressman Tom DeLay is among the recruits for the upcoming season of "Dancing with the Stars." ABC finally confirmed all of the Season 9 pairings for "Dancing With the Stars" on Monday. VIEW THE PHOTOS: 'Dancing With The Stars' Season 9 Cast Revealed! - Actor and comedian Ashley Hamilton teams with Edyta Sliwinska, who is the only pro to compete in all nine seasons of "Dancing With the Stars." - Actress Melissa Joan Hart teams up with reigning two-time "Dancing With the Stars" champ Mark Ballas, who returns for his fifth season. - Model Kathy Ireland teams with Tony Dovolani, who returns for his eighth season. - NFL Hall of Famer Michael Irvin teams with Season 8's professional dancer competition winner Anna Demidova, who makes her debut. - Model Joanna Krupa teams with Season 7 champ Derek Hough, who returns for his fifth season. - Ultimate Fighting champion Chuck Liddell teams with Anna Trebunskaya, who returns for her fourth season. Season 9 of "Dancing With the Stars" will return with a three-night premiere on ABC on September 21 at 8 PM EST.